In spite of the complete absence of genuine issues, witnessing the elections in the Netherlands actually may be instructive for the insight they provide. They have a certain Latin American flavor, which is hardly surprising since, like many Latin American nations, especially the smaller ones, the Netherlands is ruled by a venal elite (fully subservient to corporate interests) that acts as an intermediary for the US empire. As a matter of fact, the Netherlands is sometimes referred to as a banana monarchy. 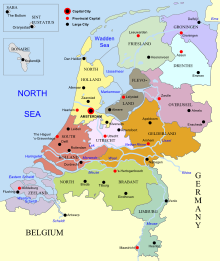 Like most of Europe, the Netherlands is a de facto US protectorate, no different from Cuba from 1902 to 1958. The half dozen major parties in the Netherlands are firmly committed to maintaining the dependent relationship with the US. This means the Netherlands will continue to participate in US military and colonial adventures. It also entails bowing to the wishes of big corporations and banks and putting the resources of the state at their disposal, in line with the prevailing neoliberal gospel. Since public discontent with the government is mounting, the Dutch government will at the same time have to do away with what little remains of civic freedoms. The liberal democratic VVD party has led the way towards finalizing the transformation into a full-blown police state, with the creation of a ‘Ministry of State Security and Justice.’ The self-styled ‘progressive’ liberal democrats (D’66) are notorious for supplying an endless number of mediocre opportunists occupying the intermediate ranks of ministries and the judiciary. Like their counterparts in Europe, the Dutch social democratic Labour party (PvdA), traditionally the pro-US fifth column, has systematically betrayed its working class support base by embracing Chicago School neoliberalism. Their friends from GroenLinks (‘green left’), with their ecological and pacifist roots, have muted into a party supporting NATO aggression in Afghanistan. The Christian Democratic CDA party, once a main support of the postwar political arrangement, has steadily been losing voter support and no longer plays a central role. Seemingly, there are only two parties that challenge the system. One is the right wing PVV, with close links to the Israeli embassy at The Hague and supported by lavish donations from US Jewish foundations. The other is the SP (‘Socialist Party’), that maintains a radical posture but is in fact very moderate and actually helps to keep the system in place. There is only only conclusion to make: the form of government in the Netherlands should be called corporatism. There is no major party that fundamentally questions the prevailing political and economic arrangement and that offers a true alternative.